We are a leading Manufacturer of portable gas cutting machine from New Delhi, India. 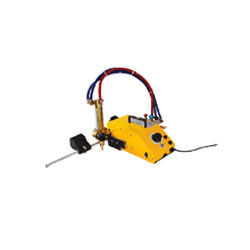 We are a prominent trader and supplier of superior quality Portable Gas Cutting Machine. Our vendors' engineers manufacture these machines using finest quality raw material and sophisticated technology. We make sure that all our machines are stringently checked on numerous parameters in accordance with the industry laid standards and norms. Also, we provide customization to our products as per the requirement of our clients. Clients can avail the offered range at market leading prices. Looking for Portable Gas Cutting Machine ?